In France people are hoarding butter because of a shortage. But if you loved butter as much as the French you'd be losing your mind too. That is some fine looking butter. In France? Better hoard it. The French love their butter. This isn’t hyperbole. They eat more butter per capita than anyone else in the world – 18 pounds worth, according to The New York Times. The shortage is due to a variety of factors, from booming global demand to low French dairy production. Especially hard hit are bakers, who are having a hard time getting the butter they need for all the treats they’re rightfully famous for. Some, like Parisian baker Dominique Eury, are hoarding butter to guarantee they can make it through the coming holiday season. In France, supermarkets get together with their suppliers to decide prices on fresh products once a year. But supermarket executives say they’re already paying an extra 30 percent above the agreed price and are unwilling to pay more – even if that means shelves stay empty – because they don’t want to hike prices (a price war between French supermarket chains is to blame, according to Bloomberg Pursuits). The executives argue that the fixed price system benefits farmers by allowing them to anticipate costs and income, according to Deutsche Welle. Many farmers feel the system is antiquated since it doesn’t take into account fluctuating market trends. They’re instead focusing on selling their products on the international market, where they can get a premium price, which means French butter is leaving France in droves. You can’t fault the farmers for wanting the best price they can get, especially in light of the European Union’s 2015 lifting of dairy quotas that capped how much milk a farmer could produce and was meant to prevent huge dairy surpluses. Their removal led to an initial flooding of the dairy market, an international price crash, and curtailing milk production by EU dairy farmers who were struggling to make ends meet, according to the Daily Express. Since that time, international butter prices have skyrocketed, going from $2,800 a ton in April 2016 to almost $8,000 a ton as of September, according to The Times. And French farmers want to cash in while they can – even if it means their countrymen’s baguettes are left dry. 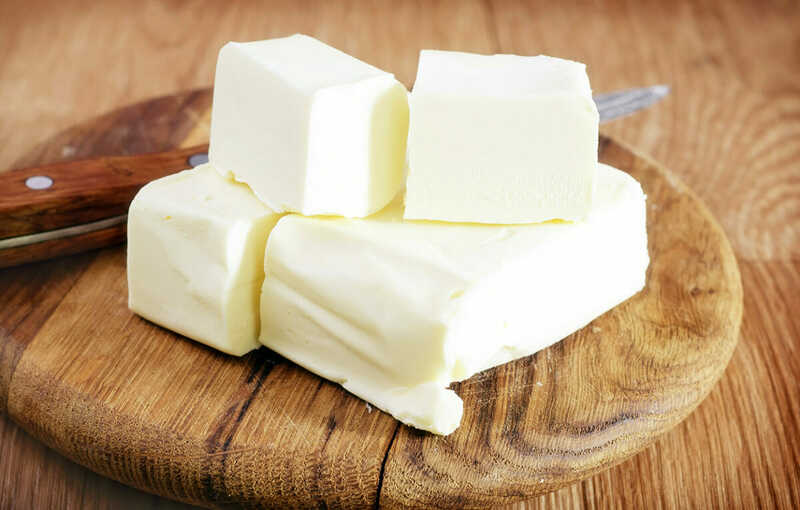 Butter has made a big comeback in many Western diets in part due to a 2014 article in Annals of Internal Medicine that found eating less saturated fat didn’t actually decrease your risk of heart disease, which had been the mantra for the previous 30-plus years. Foodies around the world have, apparently, taken the news to heart. Another big factor in the increased demand for butter is the changing diets of many nations, especially China, where butter consumption has jumped tenfold over the last ten years, according to the United Nation’s Food and Agriculture Organization. “China has discovered croissants,” Emmanuelle Auriole of the Toulouse School of Economics tells The Economist. This newfound love of French pastry has been driven by the rising middle class. But there is good news: It appears the shortage is easing a bit just in time for the holidays due to a decrease in panic buying and a jump in French butter production, according to the website The Local.